In 2019, the field of technology is at its highest altitude. Mobile phones are getting more powerful (and expensive), than the computers that were considered tech beasts just around 4 years ago. Companies like Tesla are going green and producing fully electric cars that last you just as much distance on a full charge as a full tank of gas does, and similarly, concepts like holograms are coming to life. Isn’t life becoming slightly confusing? universe. A good thought isn’t it? Now imagine listening to that music Truly Wirelessly. rivals Samsung the middle part of that year, but these products aren’t as budget friendly as you’d want. Which is why Xiaomi, a huge Chinese brand that’s taking the smartphone and accessories market by storm came up with the Airdots. The Airdots are just a ‘P’ and a ‘D’ away from “Airpods” and just about $200 away from them as well. The Airdots come at an affordable price of an average $40 and they certainly prove to be an amazing buy. Xiaomi is famous for giving a lot for a small price tag and that is just the principle they have applied to the Airdots. They connect with your smartphone over the faster and more reliable Bluetooth 5.0, and are a surprisingly good fit for your ear. They come with a charging dock that charges them from 0-100% twice, and one full charge lasts you about 3 and half hours of non-stop playback. a busy day and then going through the painful process of your phone running out of battery? Not many things. This is a problem that many people have to experience and it’s as frustrating as it is dangerous, since every service, like calling an ambulance, or the police, or a cab to get somewhere exists in the palm of our hand. Like it or not, we’re dependent on our smartphones. Powercore Speed 20000 they set a high standard. surge protection and high short- circuiting prevention to keep you and your device safe. And as a cherry on top, this power bank supports Qualcomm’s Quick Charge 3.0 which boosts up your battery at a blasting speed. Taking into account all the advantages of this product, it’s surprising that it retails at a reasonable price of around $50. It’s $50 well spent. TV and Entertainment is an enormous industry in this world and a big part of our daily lives. This world is filled with binge-watchers, sci-fi geeks and Quentin Tarantino die-hards. In 2019, TV and Movie streaming services are becoming increasingly common. Services like Netflix, Hulu and YouTube are used by a huge percentage of people on a daily basis. If, however, you are sick of your small laptop screen and prefer to watch your shows on your television, you don’t need an expensive Smart WiFi TV to do so. The Google Chromecast connects to your television via the HDMI port and needs power through its micro-USB port. Google Chromecast can also be used by gamers and twitch streamer. So if you have a twitch streamer friend, this can be a great idea to gift them a chromecast so they can play games on big screen. It can be a great way to increase their presence on twitch and grab attention of more audience on twitch. anything you want to your TV. Be it a Netflix Show, a HULU original, a PewDiePie game review on YouTube or even your favorite song on Spotify. Latest firmware updates for the Chromecast include the functionality to cast to your TV a Google Chrome tab on your PC, or even your whole mobile screen, no matter what the aspect ratio is. Considering how easy and convenient this product makes entertainment, it’s a gamble when you look at its price. The Google Chromecast has multiple models ranging from $30 to $50 with similar abilities, and with the Chromecast Ultra retailing at $80, due to its support of 4k resolution streaming. At these prices, this product proves to be a brilliant gift for a wide range of people. different types of exercises the watch offers different types of tracking applications. Aside from workouts, the smartwatch automatically records your sleep, and wakes you up peacefully with a silent alarm at the time of your choice. In addition, the watch has a heart rate sensor to monitor your pulse rate and features daily reminders to push you to exercise. You don’t have to worry too much about the watch running out of juice as it features a battery life of 5 days. The Fitbit Charge 2 is an all-day activity tracker and can be a great gift for people who are into fitness, and can even motivate those who are not, into leading a healthy lifestyle. The watch retails around $150. product is widely bought and with good reason as it proves to be immensely convenient for amateur to professional filmmakers and photographers. Considering that it’s a good fit for a wide range of individuals, the prices for these are evidently reasonable, ranging from $30 to $70 on average. Buying a tech gift in 2019 when there are so many products and the prices are so high is a complicated task without doubt. 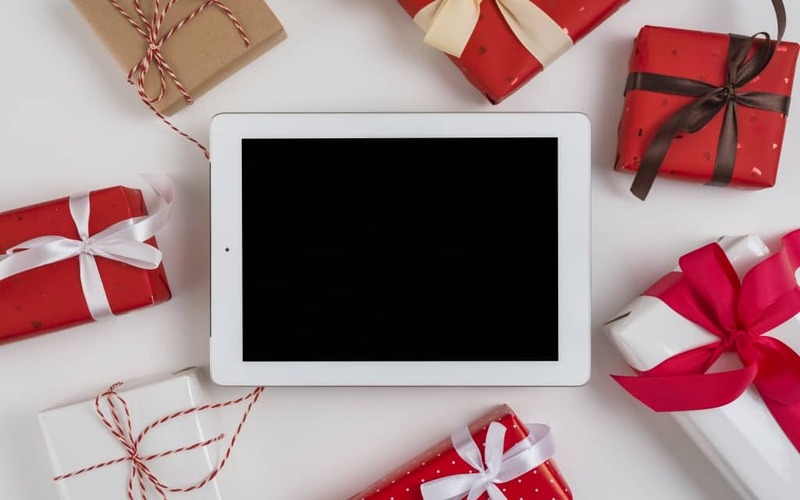 However, when you strike the right balance between utility and price, you tend to get great value for your money: a gift that will make someone really happy. Hopefully, this list can aid you in the process.